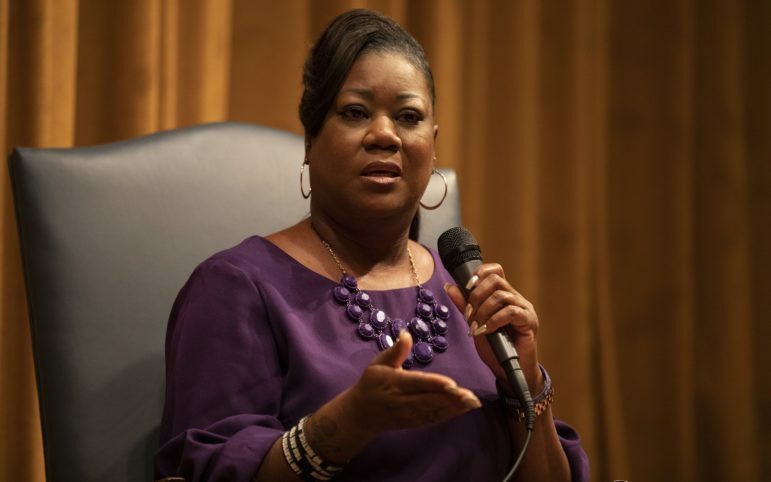 Sybrina Fulton, whose 17-year-old son Trayvon Martin was killed by a Sanford, Fla. neighborhood watchman in February 2012, gave encouragement and advice to Pittsburghers seven months after the killing of Antwon Rose II by an East Pittsburgh police officer. 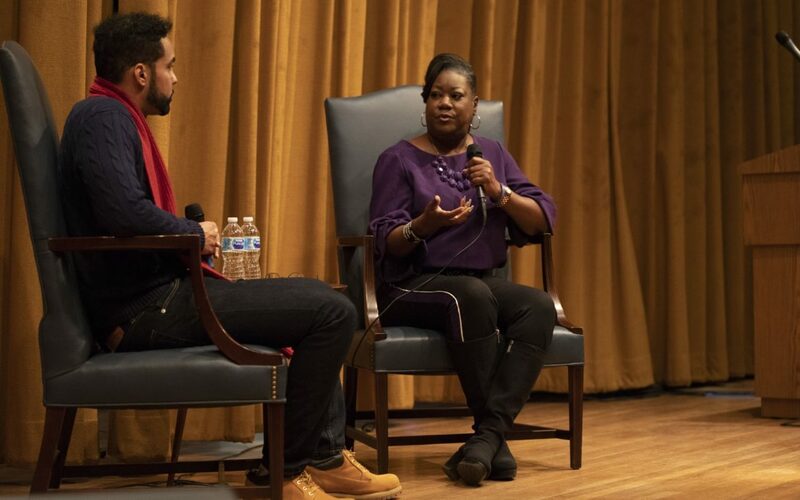 “You have to continue to say things, like ‘How could somebody be shot and they’re unarmed against somebody who is armed and they say they fear for their life?’” Fulton said at a Wednesday event at Pittsburgh Theological Seminary. Before his death, Martin was walking back to his father’s home from a convenience store when he was spotted by George Zimmerman, then serving as a neighborhood watch captain. An altercation ensued and Martin was fatally shot during the scuffle. Zimmerman claimed self-defense and was not initially charged. In July 2013, he was found not guilty of second-degree murder. The Florida case made headlines for many reasons, including that much of it hinged on the issue of Castle Doctrine, which refers to a resident’s legal right to “stand their ground” in defense. In Pennsylvania, Castle Doctrine was expanded in 2011, giving residents a right to use deadly force outside of their homes if they are attacked or fear serious injury. Mike Manko, spokesman for the Allegheny County District Attorney’s Office, said he could recall one case in the county in recent years where the Castle Doctrine was invoked and the person charged in the case was later acquitted. Martin’s death “reignited a movement” focusing on the lack of justice after black men are killed. In the past, people wanted to do something, Fulton said, they just didn’t know what. Fulton visited Pittsburgh at an important time. 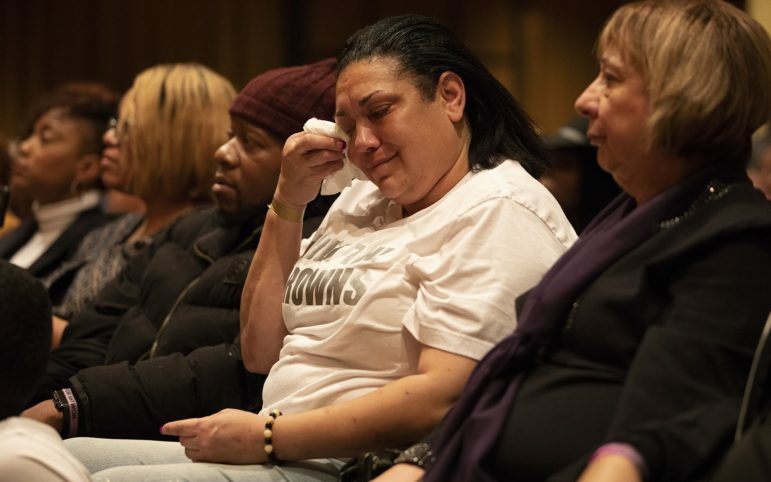 The trial for Michael Rosfeld, the East Pittsburgh police officer accused of shooting 17-year-old Antwon Rose II in the back during a traffic stop, is set to begin next month. Rose was not armed. It’s not lost on Jasiri X, founder and CEO of 1Hood Media, that the trial is set to begin on Feb. 26, seven years to the day from when Martin was killed. Rose’s family sat in the front row Wednesday. His mom, Michelle Kenney, declined to comment, saying she was only there to listen and show support for Fulton. In the last five years, 417 of the 549 homicides in Allegheny County had a black victim. Of those, 372 victims were black men, accounting for 68 percent of the county’s homicides. In 2018, 74 of Allegheny County’s 111 homicides had a black victim. "My son was unarmed. He was 17. The person that chased him was 28. You're 28 years old with a loaded gun. How could you feel threatened?" Fulton said it’s important to fight. Fight now, she said, before it happens to your child. “You have to know that he did not deserve to die. That’s what you’re standing up for,” she said of Rose. Prestine Bush, 34, of Hazelwood, was brought to tears by Fulton’s message. She lost her brother to gun violence in August 2016. Fulton co-founded the Trayvon Martin Foundation and holds an annual retreat for women who have lost a child to gun violence, where she works to help them heal. Fulton has a message for the youth of today. Look at the outcomes. Even if the killer ends up in jail, there’s still a family out there who no longer has their child. In Allegheny County, Manko pointed to the 2016 fatal shooting of Derek Price Jr. in West Mifflin as an example of a case involving Castle Doctrine. Price is alleged to have punched a passenger in a car before being shot by Zyaire James, who was acquitted in 2018. A key to Pennsylvania’s Castle Doctrine law is that a person cannot be in the process of committing a crime or carrying an illegal firearm when they were attacked, said Greg Rowe, director of legislation and policy at the Pennsylvania District Attorneys Association. The person also must fear for their safety. Prosecutors consider the specific facts of a fatal shooting when deciding on charges. “Whenever a case presents to us as a possible self defense case, we try and make a justification determination before charges are filed,” Manko wrote in an email. If charges are filed, Manko wrote, Castle Doctrine can still be used as a defense at trial. Nearly seven years after Martin’s death, Fulton says she still feels the pain. There were many stories circulating about her son that weren’t true. Fulton recalls once being so mad at a lie about her son that she whipped the contents off of a table in a hotel room. Fulton said it is important to force the media to show positive coverage of black communities. “Don’t just show us in a bad light” she said. Fulton and Martin’s father co-wrote a memoir, “Rest in Power: The Enduring Life of Trayvon Martin,” to tell their story. Fulton told the audience that she tries to find a path forward from the tragedy. “I still cry and I still hurt. I’m still missing my son. But at the end of the day, I know that there’s a message in this. I know that there’s a purpose that this happened and I don’t understand it, but I am obedient to God’s word,” she said. Stephanie Hacke is a freelance journalist in Pittsburgh. She can be reached at stephanie.hacke@gmail.com. A renewed fight is brimming in Harrisburg as pro-gun lawmakers push legislation to block and punish action by cities like Pittsburgh. That support could override a governor’s veto, which Gov. Tom Wolf has promised to do.